1. CR-V CONSTRUCTION: Made of heat treated chrome vanadium steel for strength and durability. 2. DURABLE FINISH: Mirror Polished Chrome Plated for long lasting protection and resist corrosion. 3. 12-POINT BOX END: Doubles the access angles of a 6-point, and is offset 15 degrees to create clearance for fingers,preventing round-off and applies force to the flat sides of fastener heads rather than the corners. 4. 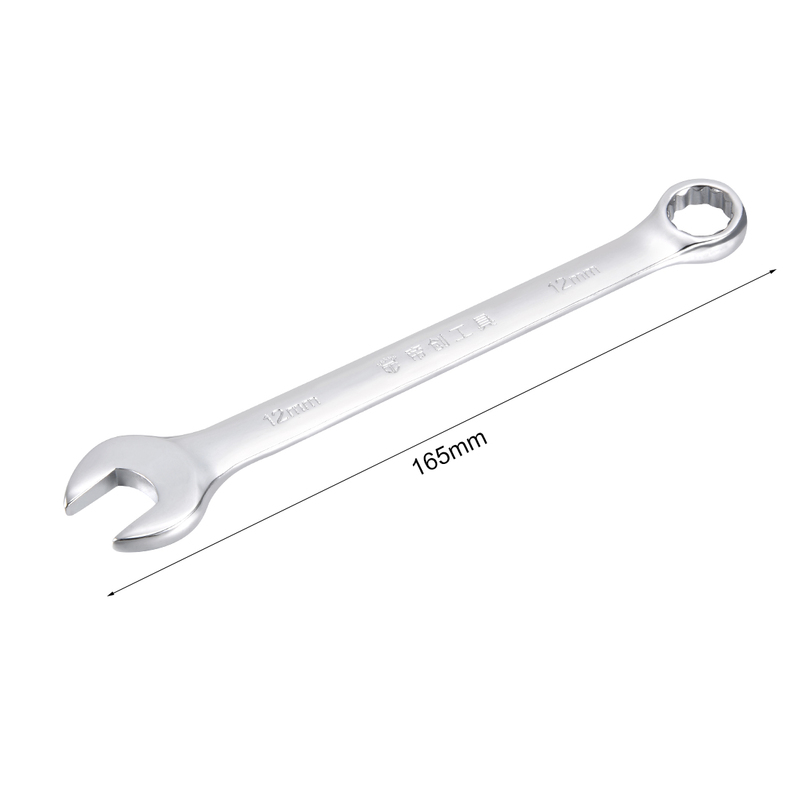 COMBINATION WRENCH: Have an angled open end and an 12-point box end that give you multiple options for working around obstructions or in tight spaces. 5. WIDELY USE: Applied in DIY hand-making, automotive repairs, household maintenance, and most general repairs.